METAL PULP AND PAPER: Hello. So glad to be catching up with you, Steve. Thank you for taking the time to answer some questions for Metal Pulp And Paper. We appreciate it. Summer is over and winter is on its way. Have you and Clouds Taste Satanic had a good 2017 so far? STEVE SCAVUZZO: Absolutely. We’ve accomplished what we set out to do. Wrote new songs, recorded a new record, released a new record and played some shows including Descendants Of Crom in Pittsburgh. MPAP: So, let’s talk about your band. 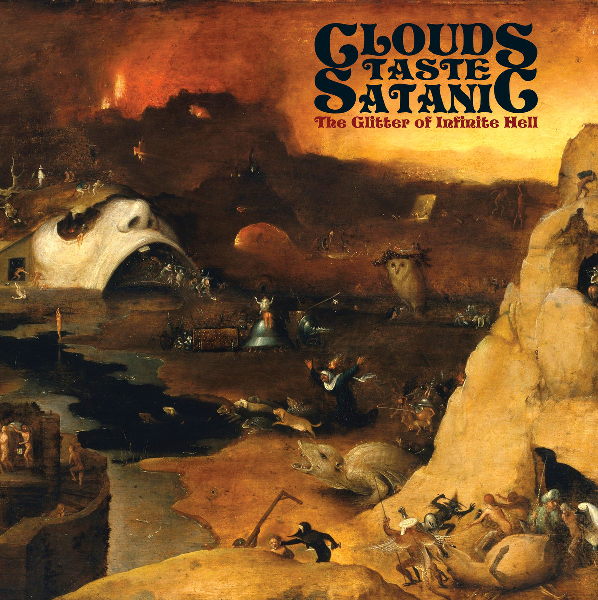 Clouds Taste Satanic is an instrumental Doom Metal quartet that formed in 2013 in Brooklyn, New York. What else, does everyone need to know about Clouds Taste Satanic? STEVE: We don’t need a singer to make compelling music. MPAP: If you had to throw some bands into a blender, preferably feet first, what would you say Clouds Taste Satanic sounds like, or at least draws their inspiration from? What can the new listener expect? STEVE: Bong, Bongzilla, Bongripper, Belzebong. That’s who we sound like and all you can expect. MPAP: Clouds Taste Satanic. What a killer band name. What was the inspiration behind it? It definitely caught my attention and made me want to check your music out! STEVE: We’ve always loved the Flaming Lips record Clouds Taste Metallic. Aside from the music, we’ve always found the title thought provoking no matter how many times you say it. Add a Satan reference and it makes a perfect name for a Doom band. MPAP: Speaking of the band name, do you ever regret that the name might not draw enough attention and you will more than likely miss out on major radio airplay? Those things have to be a factor when coming up with any name for a band in the beginning? STEVE: That was never a consideration. You don’t play Instrumental Doom Metal because you want major radio airplay. MPAP: Let’s find out what makes up the DNA of Clouds Taste Satanic? Who are your partners in crime and what do they play? STEVE: Steve Scavuzzo: Guitar, mostly riffs, Sean Bay: Bass, Greg Acampora: Drums, Brian Bauhs: Guitar, some riffs and all things that are not riffs. MPAP: Like mentioned in the beginning of the interview, Clouds Taste Satanic are an instrumental band, and for those of you playing at home, that means no vocals. It was mentioned that having vocals would take away something from your music. Why do you think that? Could it be you just haven’t found the right singer for the band just yet? The right spoke in the wheel more or less? STEVE: The problem with singers is that they cast a long shadow over a band’s music and there are just way too many instances where a mediocre or annoying singer has ruined a band’s music. I’ve checked out countless bands on YouTube where the song starts, you really start digging the music and then the singer comes in and ends the joy immediately. It is exceptionally difficult to find the right singer who complements your music. We really have not pursued finding a singer but if the perfect one happened along, we wouldn’t automatically say no. On the other hand, singers generally hate fog machines and with us that’s a deal breaker. MPAP: What about having guests on one of your albums. Get some of your favorite singers to collaborate on a song with? Make a record of music and invite others to sing on it kind of thing? STEVE: Absolutely but so far Matt Pike has not answered my emails. 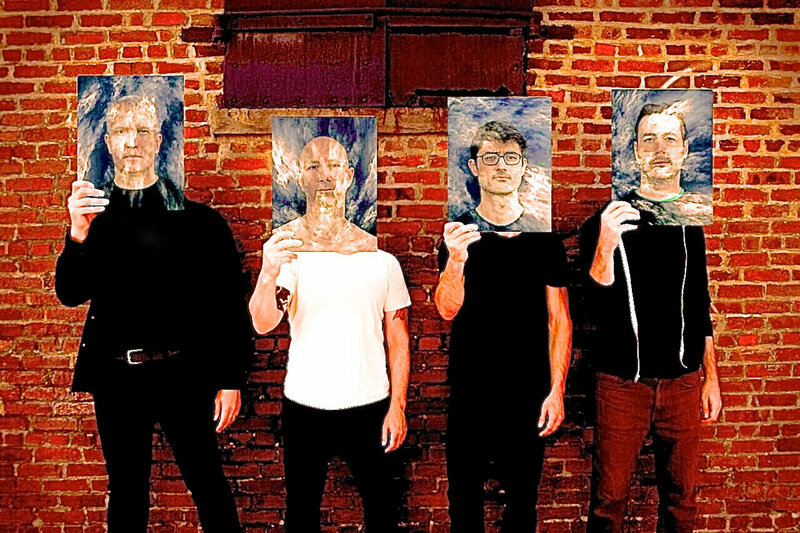 MPAP: SIDE NOTE: I have to throw this out there, I would love to see you collaborate with the band Godflesh? The two bands together could create the blueprints to the apocalypse. It would be devastating. MPAP: Now on to your music. You’ve got a new release coming out October 31st called The Glitter Of Infinite Hell. This will be your 4th release in the same amount of years. What can you tell us about it? STEVE: The new record features 4 songs on 4 sides of vinyl clocking in at just under 75 minutes. Each song runs about 18 minutes in length and is a return to the song writing we did on the first record, To Sleep Beyond The Earth which presented 1 song in 4 parts over 2 sides of vinyl. We also revisit some of the slower tempos of the first record on the first 2 tracks, "Greed" and "Treachery", which showcase the bands doomier impulses. We call these 2 tunes 'The Dark Album'. The second 2 tracks, "Violence" and "Wrath" make up 'The Light Album' and have faster and stonier leanings. MPAP: It has some pretty lengthy tracks. Do you have a favorite song or a favorite part that gets your blood going and everyone needs to hear it? STEVE: The ends of "Treachery" and "Wrath" where Brian’s solos kick in. They get me every time. MPAP: Music needs wide open spaces with no limitations. How would you attract someone to listen to The Glitter Of Infinite Hell? How do you go about introducing their eardrums to your music? STEVE: I think it makes great driving music, especially on a highway where you’ve got the time to chill and enjoy something at length. MPAP: Are the four songs on The Glitter Of Infinite Hell inspired by Dante’s Inferno depicting part of the Nine Circles Of Hell? Is there a message you’re trying to get across to the listeners? STEVE: The Glitter Of Infinite Hell is a concept record referencing the 9 Circles of Hell in Dante’s Inferno. Although only 4 Circles are titled, each song contains shades of the 9. In the world we live in today, everyone should be concerned about Hell. MPAP: Clouds Taste Satanic has released something new every year since forming after 2013. To Sleep Beyond The Earth (2014), Your Doom Has Come (2015), Dawn Of The Satanic Age (2016), and of course The Glitter Of Infinite Hell (2017). Has this been planned out from the beginning to produce an album every year? Will there be a new album in 2018 sometime? STEVE: It was not planned but we felt comfortable with each release because we had the songs, were happy with them and how we were playing them and felt strongly about getting them out. There probably will not be a new record in 2018 but 2019 is a definite possibility. MPAP: Doctors save lives, cops protect the citizens. What is your point of making your music? Why are you doing this? STEVE: We all enjoy the process of making music and creating the art that surrounds it. It’s important to us that people enjoy our music but aside from how people react to it, making music also seems to make us better human beings. How much better is unclear. MPAP: What are you getting out of it? What do you want others to get out of it? STEVE: When everything comes together we feel moved emotionally by the music we create. We want others to have the same experience. Or at least buy a T-Shirt. MPAP: What is a goal you want to achieve as a musician and a band member? STEVE: As a musician to create the music I hear in my head. As a band member to make sure that everyone in the band is getting as much out of the experience as I am. MPAP: On behalf of myself and Metal Pulp And Paper, I’d like to thank you, Steve, for being a part of this and look forward to what Clouds Taste Satanic does to finish out 2017 and beyond. MPAP: One last question before we bring this interview to a close. Sum everything up, if clouds taste satanic, then what does satanic taste like? MPAP: Any last words for the readers and all your fans out there? STEVE: Thanks for the support and for supporting the Doom/Stoner community in general.